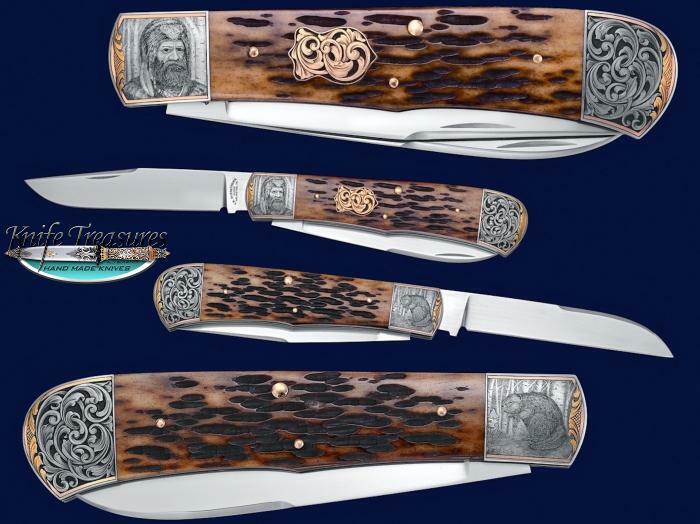 A Beautiful Model 20 "Trapper" by Tom Overeynder. This piece made by Tom has Amazing Fit & Finish. It also has Gold pins and a Gold Shield on the Jigged Bone handle. 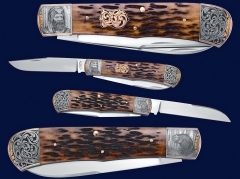 The 2 Blade trapper has then been nicely engraved by Master Brian Hochstrat. A great collaboration between 2 Masters!